This Leeds Castle, England located in Kent. It is within the 5 miles distance right from the southeast side of Maidstone. This castle has been on this specific site since the time of 1086. It was in the 13th century that this castle was handed over to King Edward I. Do you know that this castle used to be the most favorite residence of King Edward I, it is true! Then in the year 1976, this Leeds Castle, England was opened for public. This castle too captured during the time of 31st Oct 1321. It was by some forces and army of Edward II that this castle got captured. Right after the death of Edward II in the year of 1327, the charge of this castle was handed over to his wife. She then started to live in this castle and made it as her primary residence. 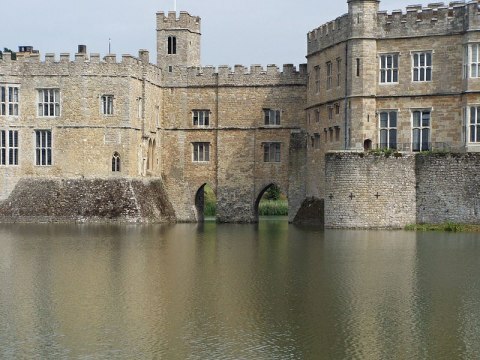 Then Henry VIII transformed this Leeds Castle, England during 1519 and this transformation was done for his wife. Later in the year 1552, this castle was granted and handed over to Sir Anthony St Leger. His grandfather used to be the constable of this castle. Do visit this castle if you are in England.